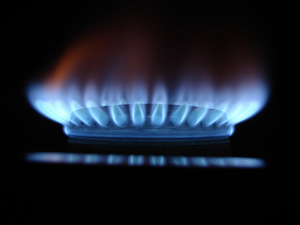 A new survey has claimed energy suppliersin the UK have made a staggering £640m a year through various billing errors. The survey conducted by Consumer Intelligence revealed more than a quarter of energy customers were overcharged by a whopping £121. The move to online billing is only making things worse as fewer customers go to the trouble of physically checking their bills. Clare Welton, from the Fuel Poverty Action campaign group, said she was disgusted by the results of the survey and suggested with bills sky-rocketing upwards of £1,500 per household, the energy giants could at least bill their customers correctly. She said: "This daylight robbery disguised as sloppy service from energy companies is yet another blow to the idea that the 'Big Six', or any bodies that put profit before people's needs, are in any way suitable to be running our energy system." The survey involved 2,000 people across the country with researchers working on a brief from the Keep Me Posted group, a campaign group against the phasing out of paper bills. In total, almost a third of those polled ( 30%) found an error on their energy bill, and over a quarter (28%) had been overcharged by an average of £121. The survey also revealed over 40% of people who receive posted paper bills noticed an error on their bill, compared to 29% of those getting their bills delivered online. The survey emphasised the fact only nine per cent of 18-24-year-olds who receive their bills online said they even checked their bills - with the survey concluding younger generations in particular were prone to "online blindness". Keep Me Posted chair, Judith Donovan, said: "For many, the arrival of a letter on the doormat is a welcome prompt to consider and act on their bills in a timely manner. "With a high percentage of people finding costly mistakes in their bills, and energy companies squeezing customers with price hikes, Keep Me Posted is urging energy providers to give consumers the choice of receiving paper statements, which has been proven to help consumers manage their finances more effectively." A spokeswoman for UK Energy, the country's energy firm representative, defended the energy suppliers however. She said: "As a competitive industry, energy companies take customer service very seriously and all have committed to an industry code of practice to bill customers regularly and accurately. This applies to both paper and online billing."